As spring is here (almost) I have decided to join the Gardening 365 group on Flickr. 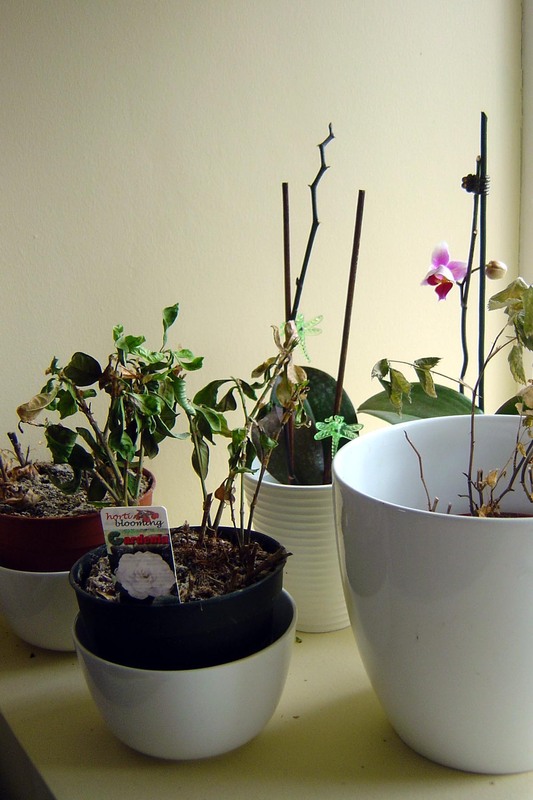 We’re not terribly good at gardening in our house as these house plants will testify to…. …there is hope, however, as I seem to have been able to keep an orchid alive! After the flowers have had their time and haev dropped off I’m normally left forever with a dodgy looking stick and some dusty looking leaves! I’ve got another stick-like orchid lurcking around so hopefully with a bit of love it too will sprout a couple of flowers!